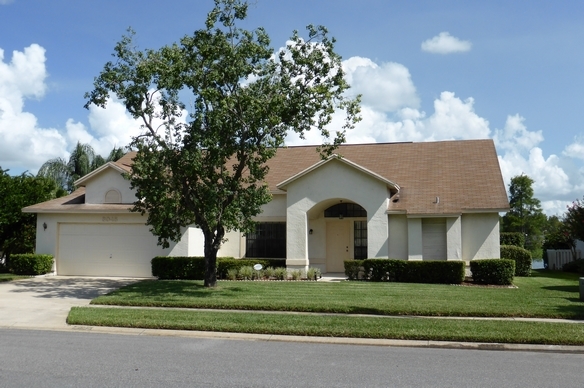 3 bedroom, 2 bathroom villa in the Hunters Creek community. Owned by Janet Freeman. Ref: 3445. 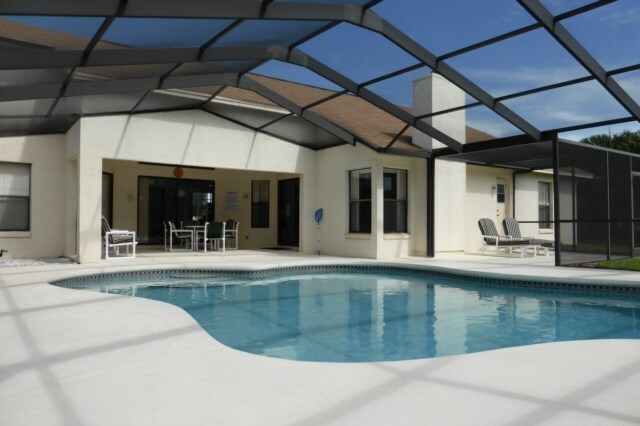 Villa4orlando our beautiful 3 bedroom villa is situated at the prestigious golfing community of Hunters Creek. 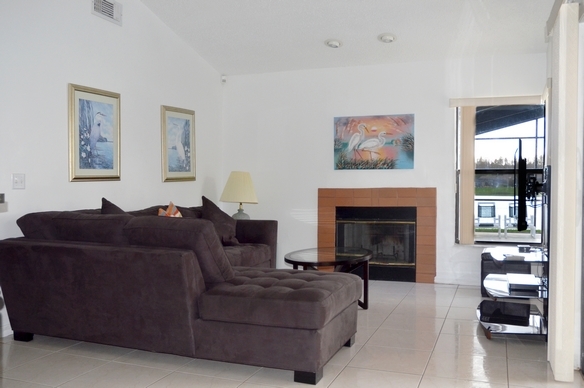 Just a short drive to Disney, Universal and Sea World and 10 minutes from Orlando International Airport. Plenty of shops, restaurants and a cinema within walking distance at The Loop. For privacy reasons, the marker on the map shows the Hunters Creek community location and not actual villa location. 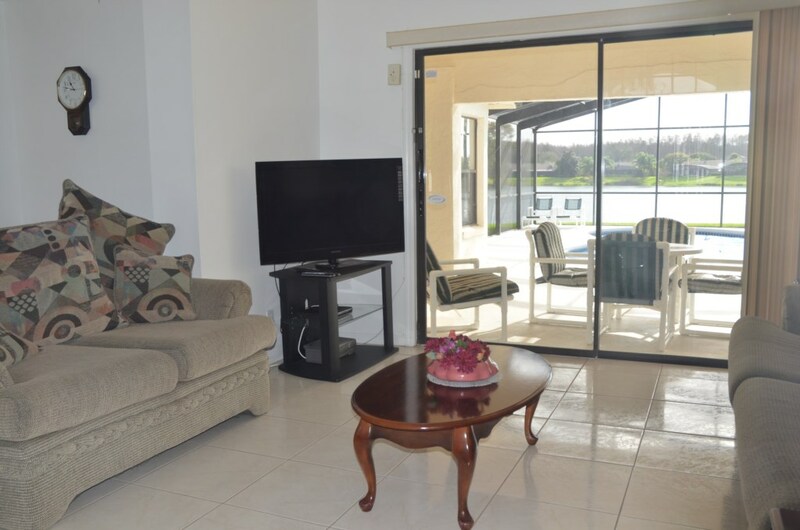 Our beautiful 3 bedroom fully air conditioned villa on its 1/4 acre plot backs on to a lake. 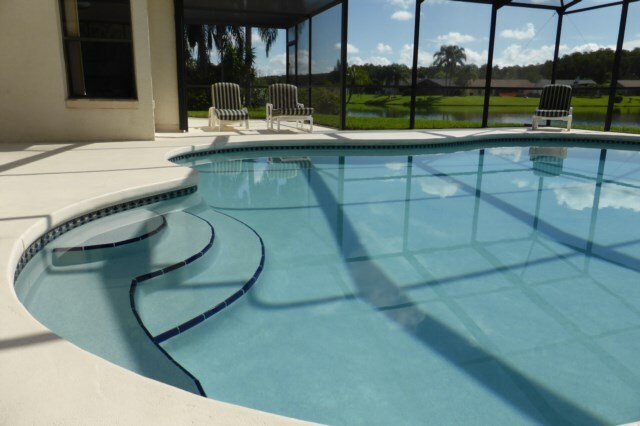 With it large south facing pool covered lanai and spacious deck area is the perfect, peaceful private place to unwind during your trip to Orlando. With around 1700 square foot of living space including a formal lounge and separate family room there is plenty of room both inside and out for you and your family. Fully air conditioned with ceiling fans in all bedrooms. We are confident that you will enjoy your stay as we have many guests who come back to us year after year some for five or six weeks at a time! No one should feel left out in our open plan kitchen nook and family room. Whether cooking or watching cable tv on the large screen tv there is plenty of space for everyone to be together. The kitchen is fully equipped with large fridge feezer with ice maker,oven, microwave, dishwasher in fact everything you will need. The nook includes a glass top table and chairs. Patio doors lead out to the covered lanai and pool. A built in closet in the laundry area incorporates a washing machine and tumble dryer. The formal living/dining room with vaulted ceiling and lovely views over the lake has a plenty of seating including sofa bed and could be used as an extra sleeping area or watching the large screen cable tv. 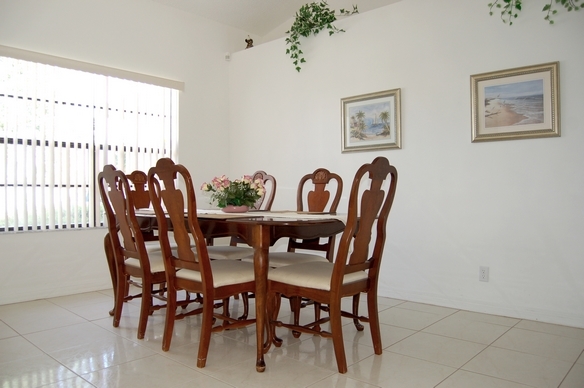 There is large dining table and six chairs for more formal dining. 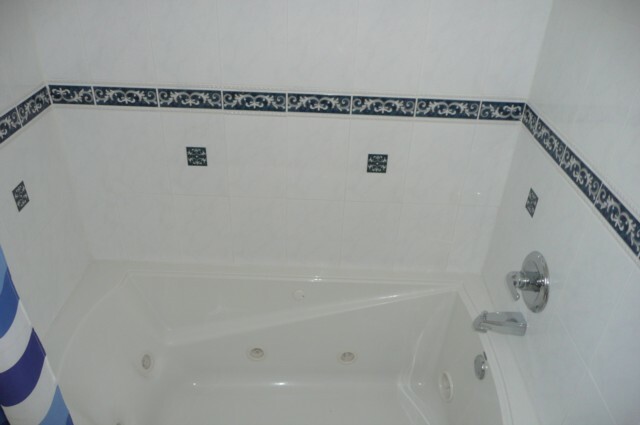 The living areas are fully tiled while the three bedrooms have carpet. Our master bedroom has en suite walk in shower, separate wc, dressing area and walk in closet. Relax in the king size bed and watch cable tv or step through the patio doors out to the pool for that early morning or evening swim. This bedroom is very private as the other two bedrooms are on the other side of the villa. There is a radio intercom system for parents who would like to be able to hear their childen. The intercom system is also out by the pool so that you can relax outside while listening to the children who are asleep inside. Bedroom 2 has a queen size bed, plenty of drawer space, built in closet, cable tv and beautiful views of the lake. 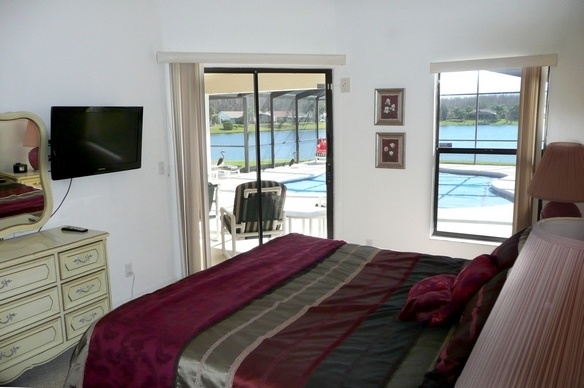 Bedroom 3 has two twin beds, plenty of drawer space, built in closet cable tv games console and side views of the lake. The bathroom servicing these bedrooms has a jacuzzi bath, wc and shower. A door leads out to the pool area. The villa also has a double garage and parking for two cars. Low season prices from $0.00 / £595.00 per week. Peak season prices from $0.00 / £675.00 per week. Rental from £635 per week. Please contact us for details. Average rating: 5.0 / 5 from 20 reviews. Booking process was straightforward and we were impressed by the excellent information/communication from the owner including all the details of villa and surrounding area. The villa itself is spacious and modern with three good sized bedrooms (one with en suite), lounge, open plan kitchen and separate dining area. 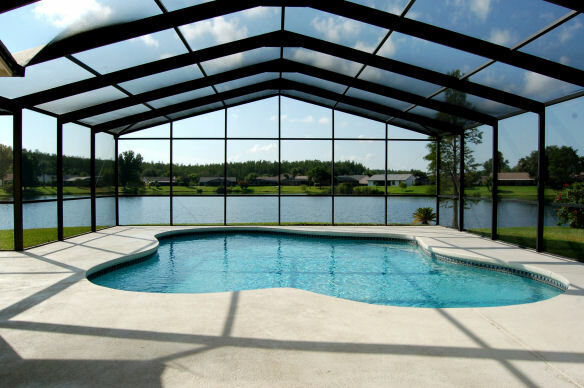 Lots of outside space, a huge pool and fantastic lakeside view. Well-equipped for entertainment with TV/DVD/WiFi and kitchen well equipped. Oven, microwave, dishwasher and washing machine all help to make for an easy stay. Access from Orlando International airport is very straightforward - about 20mins by car. There are plenty of good supermarkets and restaurants within 5-10mins drive away and an ideal location for easy access to all the theme parks and International Drive. We are already recommending this villa to family and friends and look forward to booking again in the near future. We stayed in this villa in October 2018 and from the very start of the booking the owner couldn't have been more helpful, answering any questions I had quickly. They even went to the trouble of bringing back a hat that my son left in the villa and posting it to us. The villa itself was lovely, immaculately clean with everything you could possibly need in a villa and lots of extra little touches that help make it feel like home from home. The pool was great with a stunning view of the lake, there were even floats for us to use in the garage. We really liked the quiet area, with the shops and restaurants at the Loop just a short drive away. Aside from this being the coldest Christmas in Orlando for nearly 30 years, we had a lovely time in the villa! Quiet location, loved seeing the birds on the lake each day, and good location for getting out and about. Definitely the location to either chill out and be lazy, or chill out and visit all the attractions. You won’t be disappointed. The photos don't do it justice! We have booked villas twice before, and both times felt the photos painted a nicer picture than the reality. We booked this villa about a year in advance, and kept looking at the photos saying 'I hope the pool looks as good when we get there'. When we arrived and looked out onto the pool deck we couldn't believe our eyes; the photos really don't do it justice. 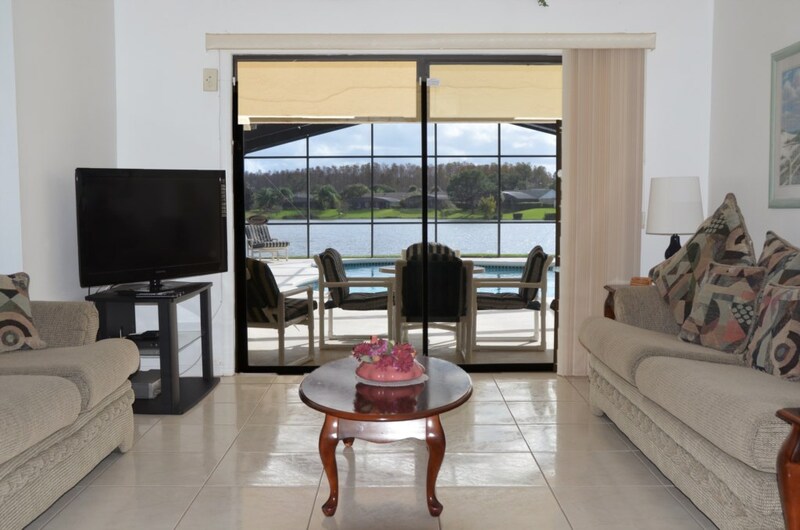 A lovely, peaceful location, sparkling pool, gorgeous views - what more could one ask? The management company/owners were at the end of the phone if we needed anything, and the communication was great from start to finish. I am reluctant to recommend this villa as it may mean it is booked when we want to come back (!) but cannot recommend it highly enough - if you stay here you won't be disappointed. We had the most amazing time there and would certainly like to come back in the future. The location superb for everything that we wanted to do. We relaxed every morning by the pool and then went out in the afternoons and evenings. their flight home - they had a wonderful time. forward to going there every time. T will be in touch soon to firm up our booking for next year. 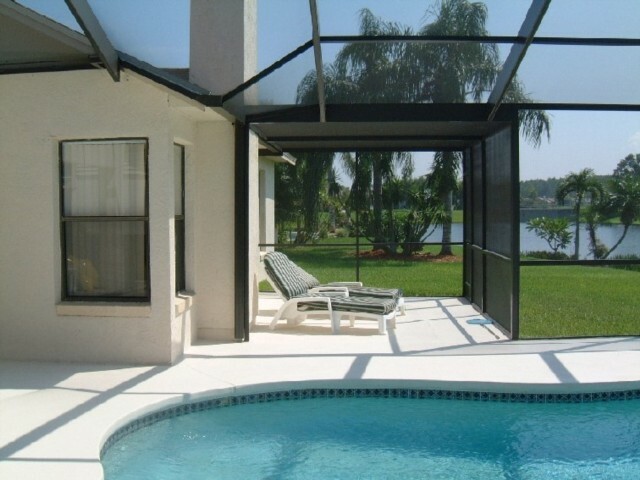 We are not planning on returning to Orlando any time soon but if we do we would love stay at your villa. 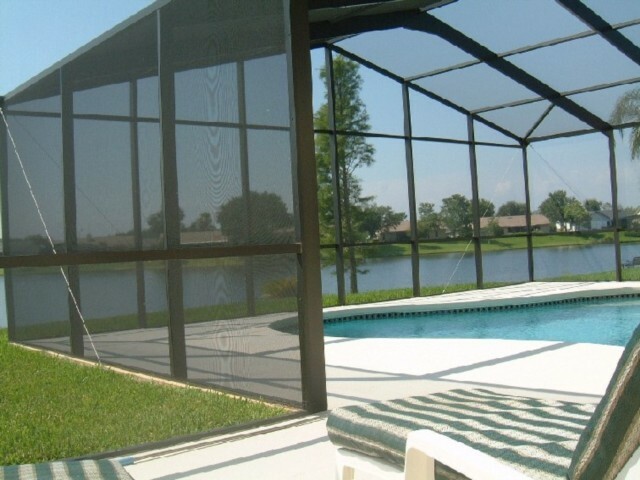 We have stayed in quite a few Florida properties in Orlando and elsewhere (mainly the Gulf Coast) and there are not many we would return to but we would and have recommended your house to friends and family. The location was excellent and the house itself had everything we could want, the only problem was our holiday finished too soon. Thank you for letting us use your villa. We had a fantastic time, didn't want to leave the pool and the fantastic views of the lake. Everything we wanted was provided. Many thanks once again. We are now back from our amazing holiday and wanted to say thank you for sharing your lovely villa with us. We were so comfortable there. My Daughter, said spending time there was the best part of the holiday. Quite an accolade considering everything we did! We posted the keys back this morning. Arrived home yesterday lunchtime after a fabulous 15 days in Orlando, made all the more special by staying in your villa. It was in perfect location and had fab views of the lake. Well that’s it truly all over for another year and I’m back at work. We had a fabulous time and very much enjoyed the villa. We posted the keys when we got to Gatwick, hope you have received them okay? Thanks again for renting your lovely villa to us and I will be recommending it to my friends. We thoroughly enjoyed our stay at the excellent villa. I may be in touch if we decide to return next year. We had an amazing time,thank you,enjoying the holiday, the villa and the swimming pool. we will be leaving here Friday. Have to get back to Minnesota for our daughters birthday. Once again we had a wonderful stay. Looking forward already to next year. We had an amazing time in Florida. Your villa is fab! Just a note to let you know how much we enjoyed our stay at your beautiful villa. The location was perfect and very peaceful. On the 4th July we were treated to a spectacular firework display from the houses around the lake which made our stay even more memorable. We had a fabulous time and returning to that lovely pool each day was perfect. Location is so peaceful - lucky you! Just to let you know we had another amazing holiday in the villa. The weather was great, we tried new restaurants and did some things we have wanted to for a while, like a trip to Miami and going to the rodeo. We will definitely be going back but not for 3 or 4 years now, we need to spend money on our house. I hope you will still be renting out your lovely villa. I will be in touch. RW. Your enquiry will be sent to villa ref 3445 only. This page has been viewed 15132 times since 04 May 2011.